What’s the story behind your career, the journey that has led you to where you are today with Vestis? My career has been…circuitous to say the least. I graduated with a degree in English, dropped out of a PhD journalism track in grad school, worked as an editor in the biomedical field, and then quit to do this in 2015. So I’d be the first to tell you I’m probably tremendously unqualified to operate a store, but I haven’t looked back since. Everything I’ve learned has been on the job. What's your next big step for the brand? Slow and steady growth. 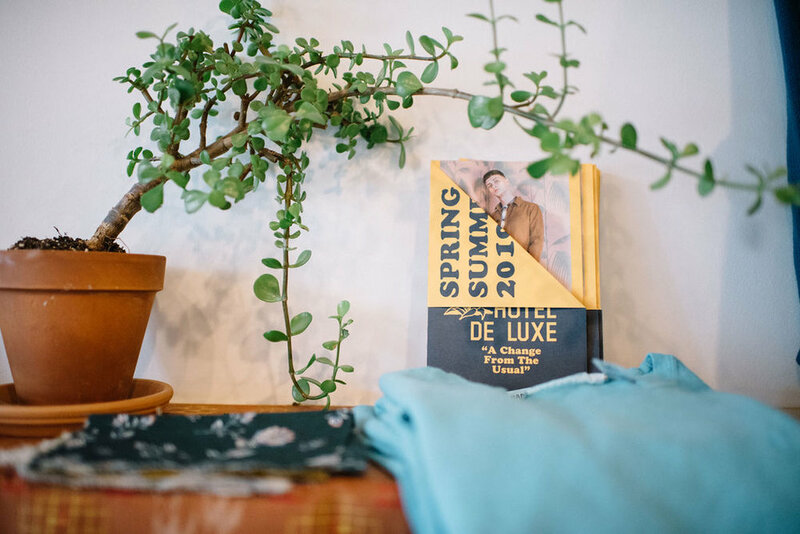 We’re going to try to keep pushing boundaries when we can – either with new brands or styles – but generally just trying to do right by our customers and keep bringing in stuff people like! What is one fashion word that you wish people would stop using? Athleisure! Just say “sweat pants.” And get yourself something comfy with an elastic waist that you can dress up (which we carry!). Benefits and challenges of having a store in Pgh? The biggest benefit is without a doubt my clients. 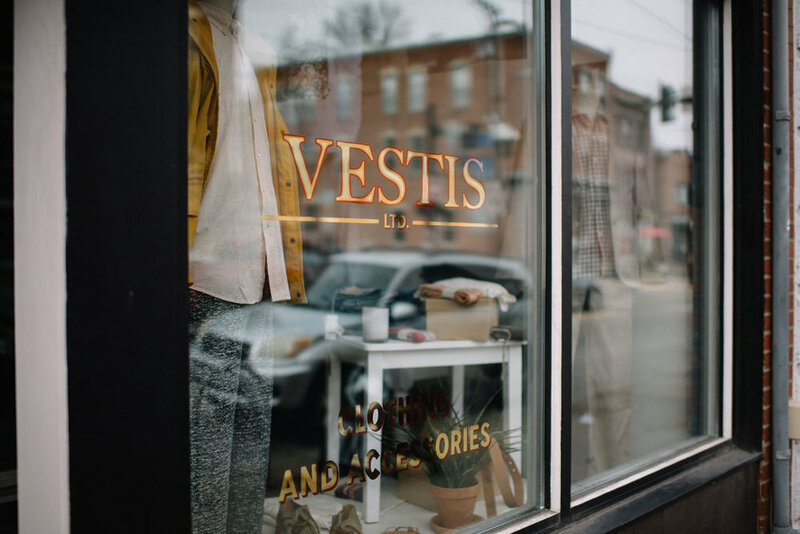 I feel really fortunate in that people in Pittsburgh have been supportive of what I’ve been doing with Vestis, and a lot of them have been with me since the shop opened. I’m lucky enough to count on a pretty diverse base of customers who’ve been willing to go along with me (and some of the wilder impulses I’ve had for the store!). 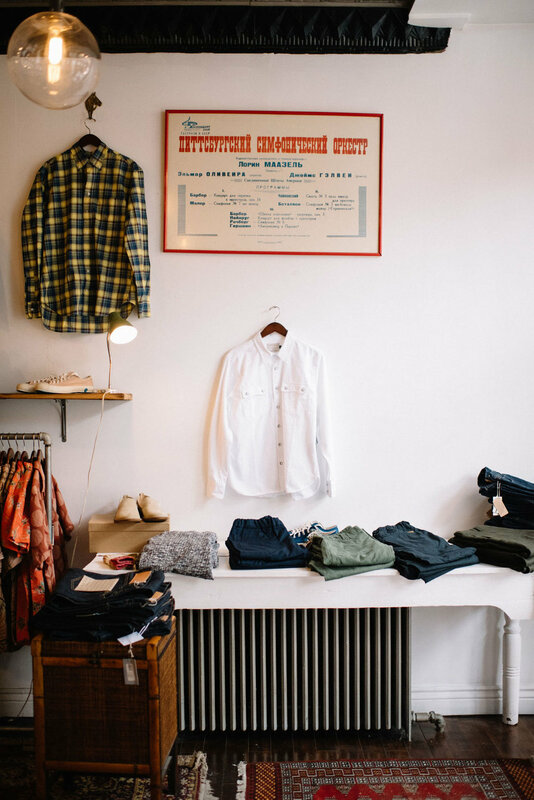 The biggest challenge is just the state of retail in 2019. If you’re going to be doing brick and mortar retail right now, you need to provide people something they can’t immediately access online. 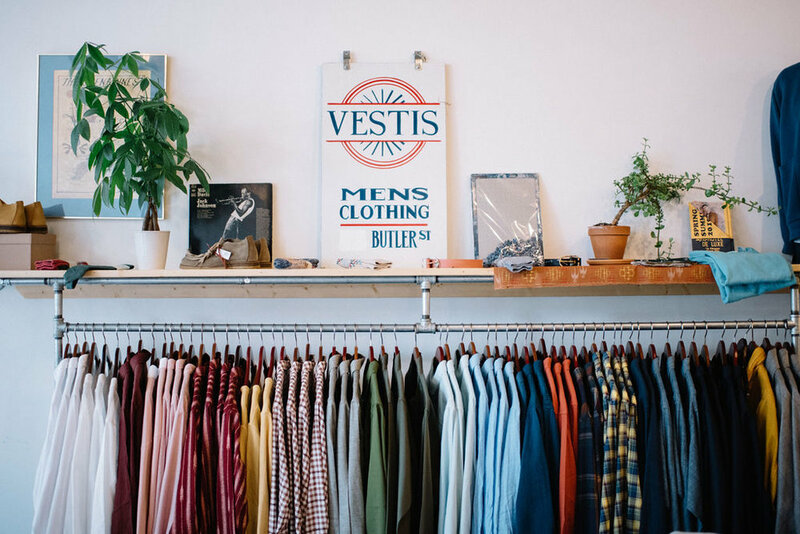 You need to build relationships with people and (especially for a men’s clothing store) you need a point of view. The days of trying to be everything to everyone are long gone. In a way that’s one of the biggest challenges – occupying a particular niche and getting people’s attention. Not doing this sooner – I was miserable for years at my previous job doing something that wasn’t right for me. Even now my worst day at my shop is better than my best doing something I didn’t enjoy – life’s too short. Wool, hands down. Versatile, long-lasting, easy to take care of, and the best value for your money of any material under the sun. Herringbone. Especially on a classic trench.